Home Auto Why Servicing Your Car in Regular Intervals is Mandatory? Your car is your best confidante and it needs to be maintained for long life. If you take care to maintain your car properly, it will continue to look as new as ever. Buying a new car comes with a lot of responsibilities which include sticking to a maintenance schedule and not making unnecessary delays in them. 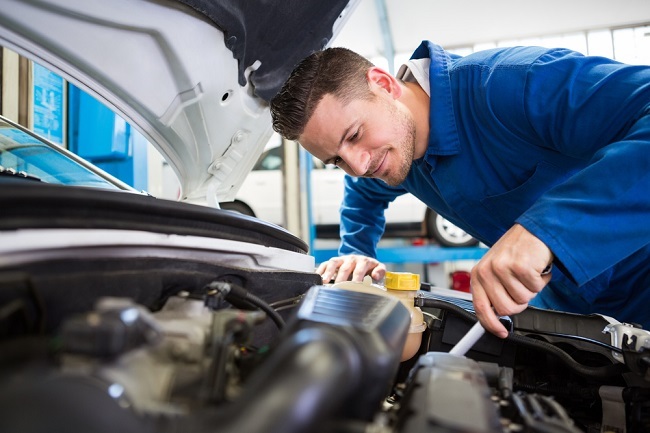 In order to get the right roadworthy certificate, you need to take your car to the service station every six months, and also you need to go for the spare part improvement as well. 1. Check the air filter: It is necessary to change/clean air filter every year or after driving 12000 miles. When your air filter is at fault, the harm can extend to your ac which releases unhealthy air in your car. It is very easy to get your car’s air filter replaced from a nearby garage. 2. Inspect fluids and tire pressure in regular intervals: The fluids and tires of your car need extra attention because they tend to run-down too quickly. Furthermore, it is very risky to ignore them or making delays in maintenance. The work should not take more than 10 minutes. You need to check the coolant quality, the fluid absorption rate and for how long your car can give on-road performance very steadily. 3. Keep your car’s battery in check: Many times, our car’s batteries died on us when we needed it the most. As a result, we ended up being stranded on the road. It is not wise to ignore the low battery sign of your car because that might land you in trouble. You will also have to check for any leakage or if there is mineral build up around it. 4. Check your spark plugs: Sometimes your car’s engine refuses to work as efficiently. In such a situation, you should quickly check if the spark plug is working fine because they are prone to wearing out easily. Get them replaced immediately if you notice something amiss. 5. Clean your windshields and replace the wipers: Dirty windshields can hinder the front view of the road for the driver resulting in an accident. It is the biggest safety threat and you should not ignore it. The damaged wipers can cause scratches in your windshield which can obstruct your view so replace the wipers whenever required. It is important to check the monitoring of the electrical components that help the car to move on the road smoothly. 6. Maintain the brakes: Let us tell you a secret, your car’s life-blood is the brake system. When the brakes are running fine, your car looks youthful. Also, safety threats arise when the brakes are not in proper working condition. Most accidents occur due to an untoward failure of brakes while driving. You need to keep a check on your brake fluids to keep them working properly. 7. Protect your headlights: Your car’s headlights are your best friends while you are driving by night. It is very risky also to keep your headlights off while you are driving in the highways. Consider replacing or repairing your headlights when they fuse to ensure your personal safety and protection of those around you. There are three types of car owners in this world. The first lot will religiously run a thorough check on their cars, the second lot will acknowledge that their car needs repair but still skip fearing the expenses. You need to take your car to a trusted and certified mechanic or a component repairing shop near you to get an idea about how to take care of your car all throughout your life. Should you run a Criminal Background Checks of Employee?